To tell you that I feel fortunate and I love what I do would be an understatement. The past few months have seen me in several speaking engagements and leading many education workshops. I really love sharing the enriching experiences that life and my teachers have brought to me and the excitement every workshop or speaking engagement bring is unparalleled. I simply cannot find words to do justice to how I feel. How I ended up as a fitness educator has been quite a trip and not one I had deliberately planned . I always loved sharing and next thing I know, my clientele included a significant number of fitness colleagues who simply wanted more information about specific modalities I practiced. Presently, I have several courses for specific populations designed by myself, and I am proud to represent Kettlebell Concepts Inc (KBC) as their only Senior Instructor in Washington State. KBC has earned a solid reputation as one of the top educators in the modality of kettlebell lifting. Their academics and curriculum demand the intellectual and physical commitment of the fitness professional interested in earning the title of Kettlebell Instructor. KBC knows there’s a lot more to kettlebell coaching than simply learning a repertoire of exercises. The endorsement of the major certifying agencies and their growth are testament to it. 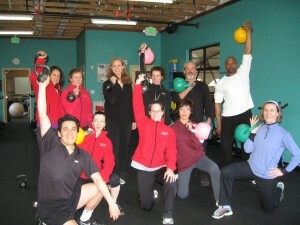 Kettlebell Concepts made its successful debut on Bainbridge Island on March 5th and 6th 2011. Island Fitness hosted the first ever Instructor Course on Bainbridge and a highly talented group of fitness professionals ready to tame the iron took part. I had a blast leading the course and I could not have been happier with the excellent performance. Island Fitness trainer, manager, and owner Alexa Rosenthal is a big supporter of continuous education and not only was she happy to host the course, she set the example by being part. Congratulations to the trainers who successfully completed the strict requirements of the course and congratulations to Island Fitness for having the greatest number of KBC instructors in Washington State. Now KBC’s reputation is catching swiftly and barely a month after there was demand for another instructor course. This time Sal DeRosalia, Owner of Crossfit 98110 carried the torch and is bringing the workshopt back to Bainbridge Island. 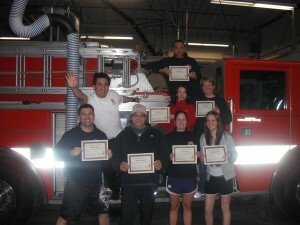 Sal has graciously offered his facilities to host the Level I instructor Course on May 21st-22nd 2011. Sal is a big fan of kettlebells, has been lifting them for a long time and he is always eager to learn more and expand his educational horizons! Thanks Sal! You ROCK man! The course is designed for fitness professionals looking to implement Kettlebell Training to their reportoire or increase their understanding of kettlebell training. Participants must already be certified fitness professionals to earn the right to take the written and practical examinations and earn the title of instructor upon succesful completion. Kettlebell Concepts is the only Kettlebell Instruction Course approved for continuing education credits under the major certifying fitness agencies (NSCA, NASM, ACE, ACSM, etc) and as such, it makes its mission to meet and exceed their ecucational requirements. The course is presented in the language of anatomy, motor learning, and biomechanics, which is part of the education of the fitness professionals and for this reason, KBC will not grant the title of instructor to anyone not holding a current fitness professional certification. If in doubt, contact KBC to find out about your elegibility. Make sure to CLICK HERE to register. This is probably the last time I will have the course on Bainbridge Island in 2011. There are other areas Northwest and Southern facilities requesting to host KBC, have interested participants, and it is only fair to gran them their turn. I am also limiting the course to 15 participants and 3 spots are already taken. Register today and I’ll be seeing you on May 21st!